Jeff Tweedy sets the stage with words for Being There as opening track, “Misunderstood” finds the Wilco frontman confronting his all-too-human self, repeating a ‘so misunderstood’ mantra as his walks a rock’n’roll lifestyle tightrope over an ever-deepening abyss. On their second studio recording, Wilco used Rock’n’Roll as the soundtrack behind Being There.. While it has become an Alt Country cornerstone over the course of its life, as well as solidifying the band’s career, at the time of release the words and music were an open letter from Jeff Tweedy questioning where his next steps would take him. As a part of Uncle Tupelo, Jeff Tweedy appreciated the gap between critical and commercial success. 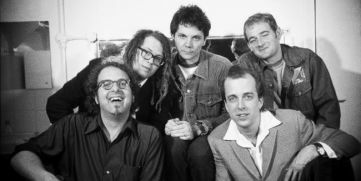 Wilco’s debut (A.M.) continued the Alt Country of Uncle Tupelo while Being There kept the banner aloft as a band brand while its music caught the breeze waving the flag, scattering the sound out further for the genre. 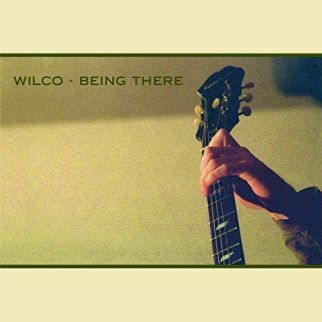 The five-disc re-issue of Being There remasters the studio release, gathering outtakes, alternate takes, and demos as one side, offering a full live show from the Wilco November 1996 Troubadour gig, and four cuts from a live-in-studio performance at the Los Angeles NPR outlet, KCRW. Looking over the career of Wilco and the body of work from the band, seeing Being There as a possible final album effort is difficult. Listening to the stories on the album it is easy to hear the conflict Jeff Tweedy was experiencing. As Wilco wondered whether it would continue as a band their tour bus returns from the road with little to show, “Red-Eyed and Blue” looking at the contents of its suitcase as it unpacks at back at home. Acoustic strums begin “Kingpin” before the request broadens with a pounding beat and wriggling sonics as a yin/yang double take connects “Outtasite (Outta Mind)” with “Outta Mind (Outta Sight)” while “Monday” uses a backbeat to propel a band out of Florida and twang accents the sunshine sway of “Someday Soon”. Outtake tracks such as “Losing Interest” and “Capitol City” stay the course of the Being There theme of a band on the road wondering where their next steps will take them. The live cuts on the Being There Deluxe Edition were recorded back-to-back, the Troubadour on November 12, 1996, and the radio show recording on November 13, 1996. Both recordings showcase Wilco’s ability to meticulously recreate studio work in a live show.